Step up your grilling game and give our Grillies Halloumi a try. You will wow vegetarians and meat eaters alike! 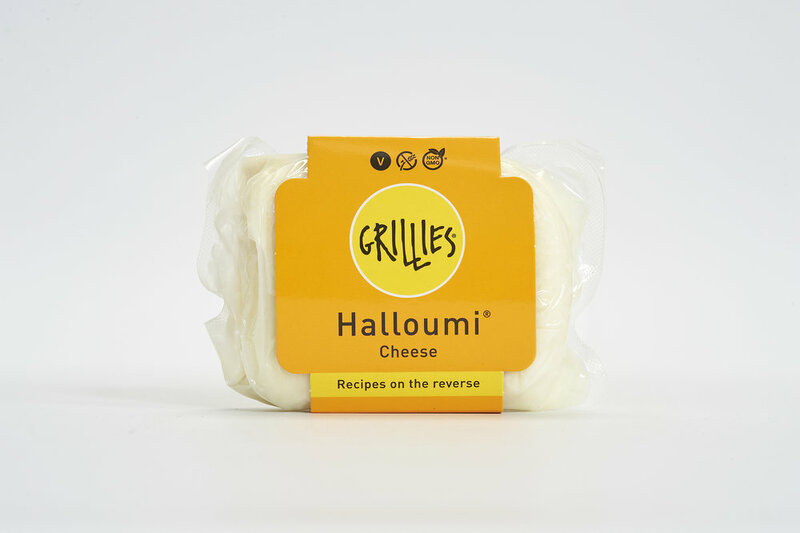 On the beautiful Mediterranean island of Cyprus, Halloumi is undoubtedly the king of cheeses. Beloved by locals for hundreds of years, Halloumi can be added to almost every meal, whether it’s grilled, fried, baked, or straight out of the box. 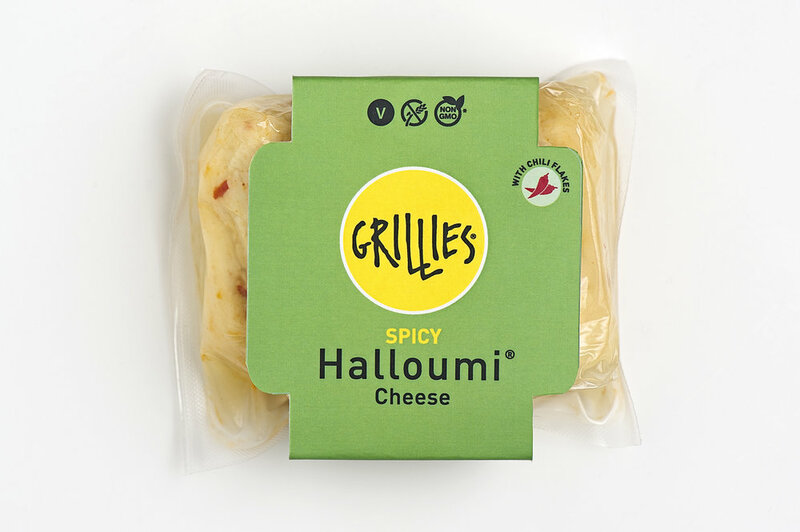 Our Grillies Halloumi is all natural, made in Cyprus with no artificial flavors, additives or preservatives. The tangy, pleasantly salty flavor gives Grillies Halloumi tons of potential as an ingredient in your kitchen. 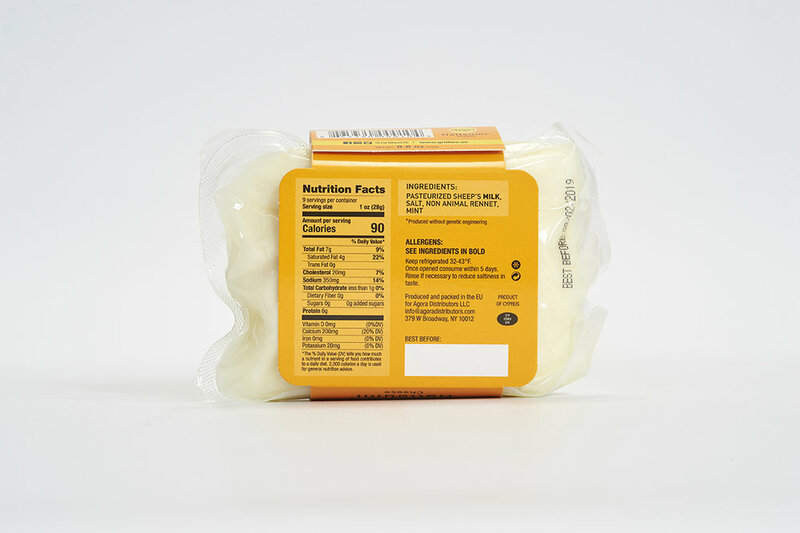 Additionally, Grillies Halloumi is an excellent source of Calcium and Vitamin D. Please use the consumer package for most recent nutritional information and ingredient list. Available in a block or pre-sliced for your convenience. For fans of fiery foods, Grillies Spicy Halloumi is the way to go. Cooking instructions: Cook at medium heat 3-4 minutes each side.